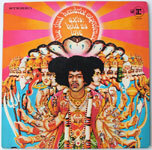 Àâòîð ïåñåí - Jimi Hendrix, êðîìå óêàçàííûõ äîïîëíèòåëüíî. 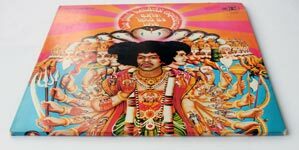 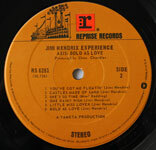 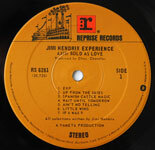 Jimi Hendrix – guitar, vocals, guitar, piano, flute, voice of "Mr. Paul Caruso" on "EXP"
Mitch Mitchell – drums, glockenspiel on "Little Wing", backing vocals, "interviewer" on "EXP"
Noel Redding – 8 string bass, backing vocals, foot stamping on "If 6 Was 9", lead vocals on "She's So Fine". 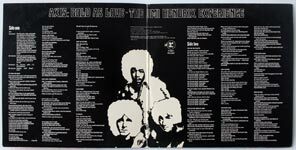 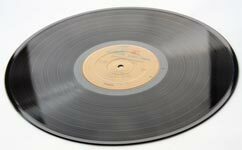 Gary Leeds – foot stamping on "If 6 Was 9"
Graham Nash – foot stamping on "If 6 Was 9"
Michael Jeffery – foot stamping on "If 6 Was 9"
Trevor Burton – back-up vocals on "You Got Me Floatin'"
Roy Wood – back-up vocals on "You Got Me Floatin'"
Recorded at: Olympic Studios, London, England.